A study on the conservation, management and sustainable use of Euphorbia colliculina, E. schoenlandii and E. susannae. A study on the ecology and sustainable use of Euphorbia umfoloziensis and E. bupleurifolia. Monitoring leopard population trends in South Africa. Analyzing and monitoring the lion bone trade in South Africa. The use of stable light isotopes to distinguish between captive-bred and wild-caught sungazers (Smaug giganteus). The traditional use of sungazers in South Africa. Describing and documenting wild cycad characteristics. The use of strontium isotopes as forensic support in cycad poaching investigations. The programme is active in all nine provinces of South Africa. Part of SANBI’s mandate is to generate knowledge and disseminate information on the sustainable use of biological resources. A relatively large number of South African species are still traded from wild sources. The trade in species includes traditional medicinal use, as well as general medicinal use (e.g. hoodia, devil’s claw), trade for specialist collections (e.g. cycads, succulents, reptiles), and hunting and fishing. It is necessary to understand how these species respond to harvest from the wild as well as the dynamics that affect sustainable use of these species. There are also regulatory requirements, such as the Threatened or Protected Species (TOPS) Regulations and the Convention on International Trade in Endangered Species of Wild Fauna and Flora (CITES), where information on species is needed. This work is being co-ordinated as part of SANBI’s commitments to the Scientific Authority. 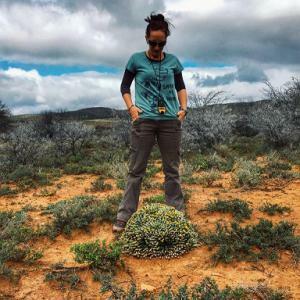 The SANBI IDentifyIt-Species and Cycad Apps were created to assist customs officials, law enforcement officers, border police and environmental management inspectors with the identification of South African TOPS- and CITES-listed species. 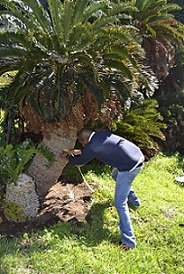 In 2014 a ground-breaking study proved the forensic potential of stable isotope and radiocarbon dating techniques for tracing origins of ex situ cycads (see Nature article). Genetic markers have been developed for Cape parrots and for wildebeest, the former to assist in regulating trade in Poicephalus robustus and the latter for the detection of black/blue wildebeest hybrids. A Biodiversity Management plan has been developed for the Critically Endangered and Endangered cycad species (download). Field-based population and ecological studies have broadened our knowledge of traded species such as Aloe plicatilis and Aloe peglerae. Field research has also been conducted on the utilisation and management of TOPS- and CITES-listed medicinal plant species in Limpopo province, while surveys have been undertaken to determine the prevalence of TOPS-listed species in traditional medicine markets. A detailed analysis of southern Africa’s CITES wildlife trade over the period 2005-2014 (see report) was conducted in preparation for the 17th Conference of the Parties to CITES, and the online pet trade in indigenous reptiles was quantified between May 2013 and February 2014. The programme also supported regional Red List assessments of utilised and traded mammal species. The programme is co-ordinated by Michèle Pfab, the Scientific Co-ordinator of the Scientific Authority. Past and current partner organisations include the Universities of Cape Town, Free State, KwaZulu-Natal, Limpopo, North West, Pretoria and the Witwatersrand, Oxford University, the Tshwane University of Technology, the National Zoological Gardens, the Endangered Wildlife Trust, Panthera, TRAFFIC East/Southern Africa, Strategic Environmental Focus, and the UNEP World Conservation Monitoring Centre.